Today, being a postal worker means doing several jobs, such as that of postman, customer advisor, financial advisor, sales person, quality and safety manager, developer, project manager, management controller, Recygo collector, energy diagnostician, and more. It also means working in a variety of areas, from major cities and their suburbs to the countryside, overseas departments and abroad (via our GeoPost subsidiary). It also entails coming into contact with all types of people and problems. In short, there is more to being a postal worker than just a mail carrier. All told, it involves more than 253,000 different people ! They do have one thing in common though : their values. Starting with respecting the confidentiality of our customers' correspondence, a commitment that all employees make in carrying out their duties. This promise has also been adapted to new uses, to include the concept of respecting digital correspondence. This is a formal step for newcomers who commit to respecting “the integrity of objects handed over by customers”, “the inviolability and secret nature of correspondence, including in digital format” and finally, “the confidentiality of personal data and information concerning other people's private lives”. And then there are our other, historical values. Those that transcend time and are still ingrained in all levels of the Group: accessibility, proximity, and a sense of service. These values have all contributed to creating the relationship of trust and respect that La Poste shares with its customers. It is a relationship that allowed us to become the first local, public services network in France. And this would not have been possible without the involvement of postmen and women, and their field experience and knowledge of their customers. It is thanks to this information that La Poste is today able to innovate in a way that better meets the needs of the French people. You just have to talk to them and see them at work, going between the 26 million homes and the 67 million French citizens that they assist on a daily basis, to realise it. I attach a lot of importance to the quality of my conversations with customers. I know them. And this is what enables me to provide a quality, adapted service. For example, if I know that a client who regularly receives packages is not there, I ask to deliver his package the following week. Assisting people in their daily lives, giving them a helping hand that saves them time or offers peace of mind, and seeing their satisfaction afterwards, is very rewarding. You feel useful. "Our job is to help people, but also to reassure them with our daily and steadfast presence. I am specialised in La Poste's new services, such as Action Habitat, which entails encouraging people to get an energy diagnosis of their home. 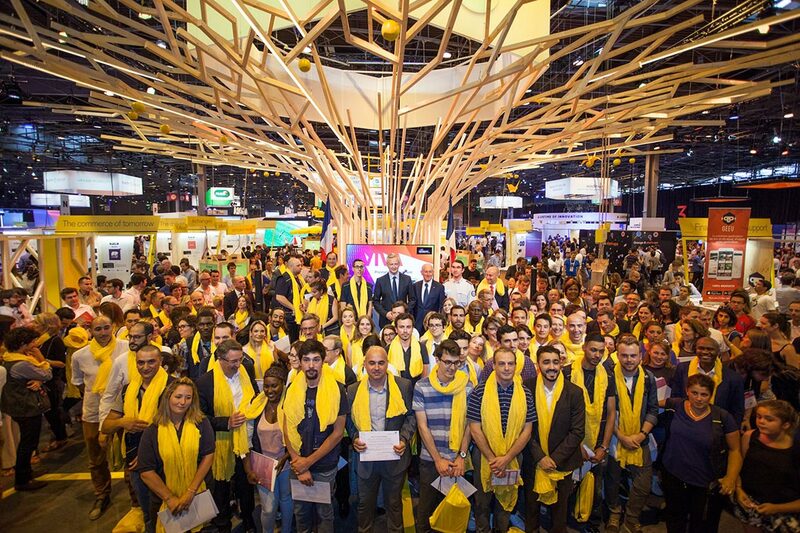 I find it really rewarding, because I believe in La Poste's transformation. And energy retrofitting just makes sense. I feel I contribute to general well-being and I am carrying out a real civil duty, one that's both social and environmental." What makes me most proud? Being part of a company that really works for everyone. When we organise financial inclusion workshops for the elderly and disabled; when we show them how to use their bank account at home, on their smartphone or their computer; when we show them how to make a transfer or print their account details, and we do this slowly, step by step, it restores their confidence in their abilities, so we feel like we're helping to create more social equity. Manager of the sales space in the Aubiers post office in Bordeaux. "At La Poste, no one is above the 'basic and essential'. I noticed this right from my first day in the Group, when I started my apprenticeship contract at Colissimo in 2006. I arrived in a suit without really knowing much about the company. I just expected to be entering numbers in columns all-day long. Seeing this, my manager took me to a sorting platform where he had me sort parcels all day. This allowed me to understand the job in a very concrete way, but also to realise that I was a cog in a machine. This approach stayed with me. This is probably why today, even though I work in a support service aimed at international development, I still feel like a 'postman'." Our expertise in digitisation and multichannel service platforms enables us to respond to the challenge of modernising public service activities. Our Group's strength lies in knowing how to seamlessly connect digital and physical services. It's our way of simplifying the lives of citizens, elected officials and staff in every community, even the smallest. When La Poste says that innovation must be for the benefit of all, it is a stance that we take every day and which resonates with me. Sales Director at Docapost Localeo. "The future? I feel quite calm about it because La Poste has reacted very early to the decline in mail numbers. And it has dared to innovate. By going digital and towards the silver economy, by offering customers the chance to take the highway code or even by creating public service centres in rural areas, it has positioned itself in promising markets for its future, but which are also consistent with what it has always done: help people. It's reassuring, and even exciting, because we feel like we are in a company that's evolving. "